With an easy drape and a clean, classic design, the Long-Sleeved Four Canyons Twill Shirt rests at the top of our list of four season favorites. 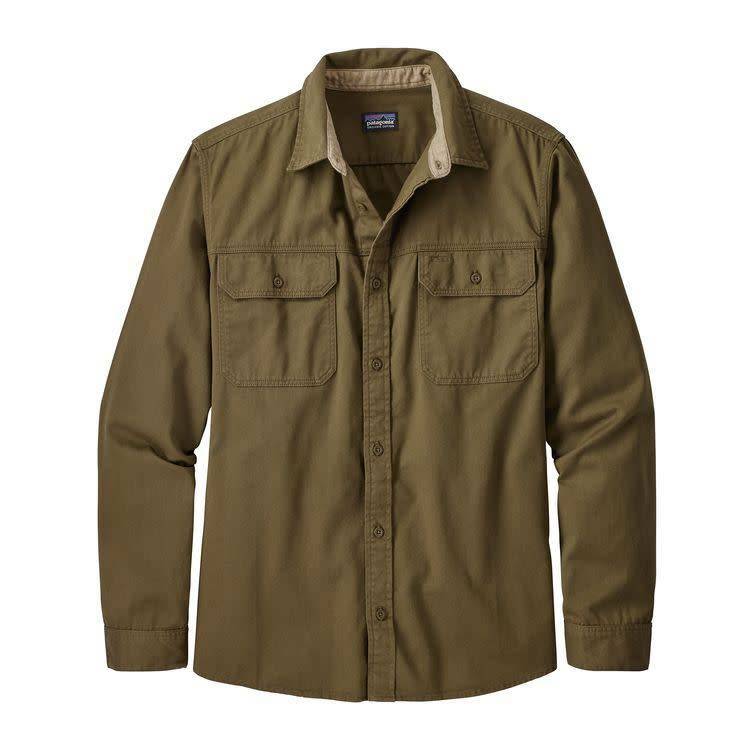 We make this do-all shirt of soft yet durable 100% organic cotton twill for breathability, a gentle touch on skin and easy resistance to the rigors of day after day use. The front and back yoke seams allow a full range of shoulder mobility, and the shirttail hem increases coverage for harness and hipbelt compatibility. Two chest pockets have button-flap closures to secure their contents, a stand-up collar protects your neck from sun and wind, and the buttoned cuffs are adjustable. It’s also Fair Trade Certified™ sewn, which means the people who made it earned a premium for their labor.